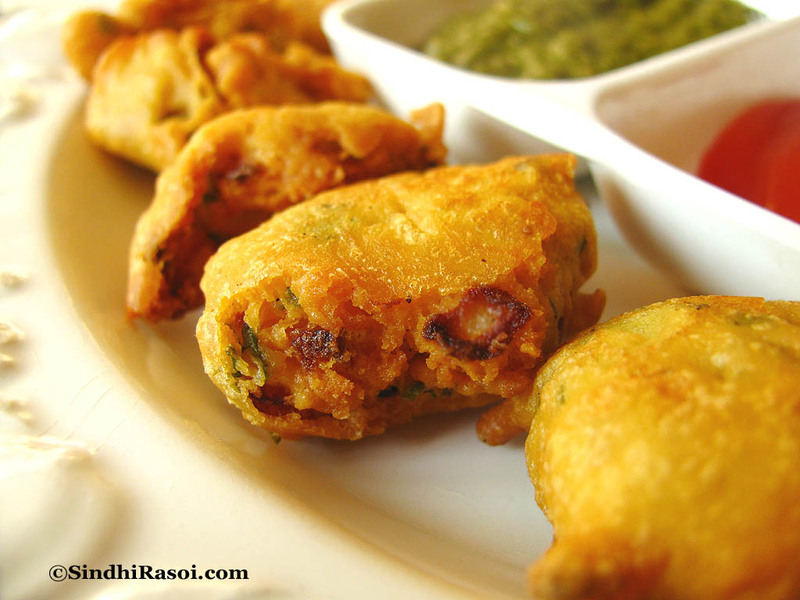 Sindhi style, double fried chickpea pakora/bajji/ fritters, super crispy, crunchy, delicious sinful bites ! I read in some book the same recepie with boiled potatoes. Which one is original? Hope u will reply and answer my query. have a nice day.. Cheers!! 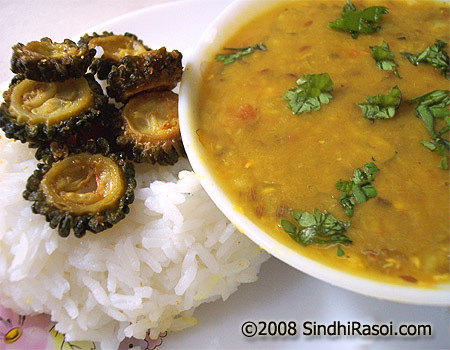 not sure abt the anaardana, but the dhania seeds are best when they are half-crushed – they make the pakora even crunchier…love these – part of my child-hood and teen life…try to make them whenever i can! enjoy…. 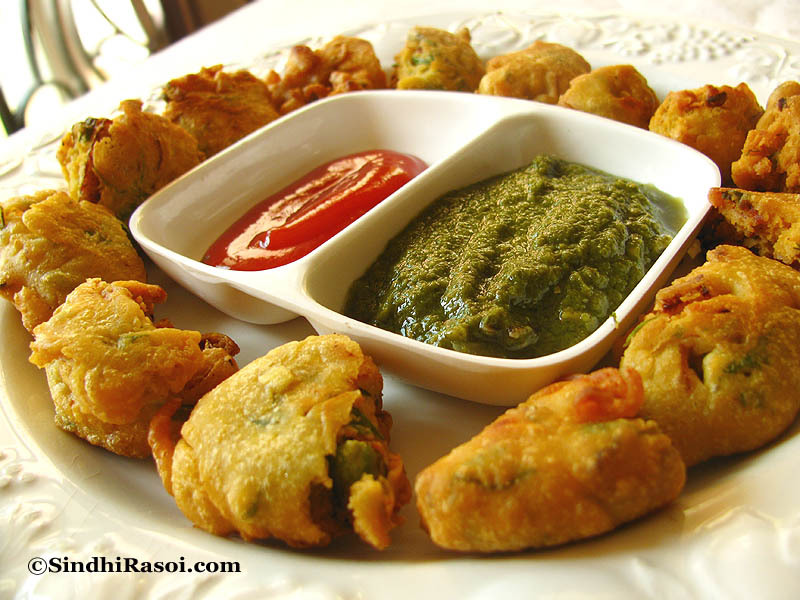 Thankyou for the great recipes,I add some chopped spinach to the mix and the pakoras turn out nice and crunchy.These were most of the foods my mother would cook.I can start trying different recipes now that I’ve found your website. Thanks once again! 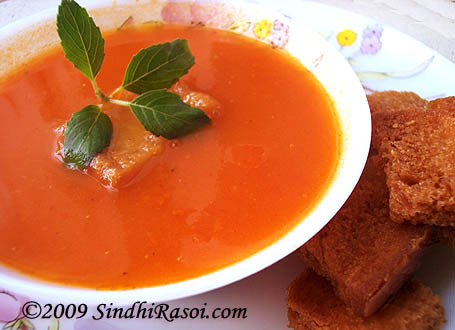 appreciate ur work girl..thts really awesome.. thanks for sharing these receipes.. it will really helps sindhi bachelors like me to try these sindhi recipes by themselves..thanx a lot ..
what a wonderful photo, i am feeling like taking one from the conputer, it is just popping up on the screen.